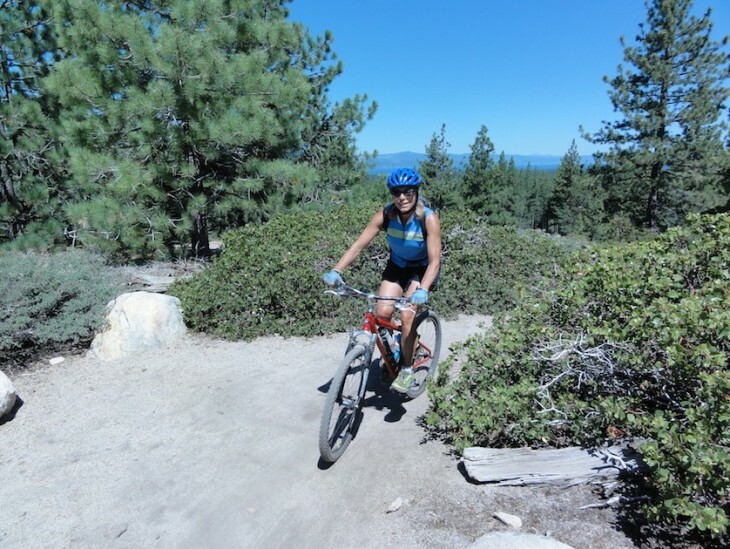 Smooth single track with a couple of short steep climbs/descents, stream crossing, and sandy spots needing attention during the summer months. 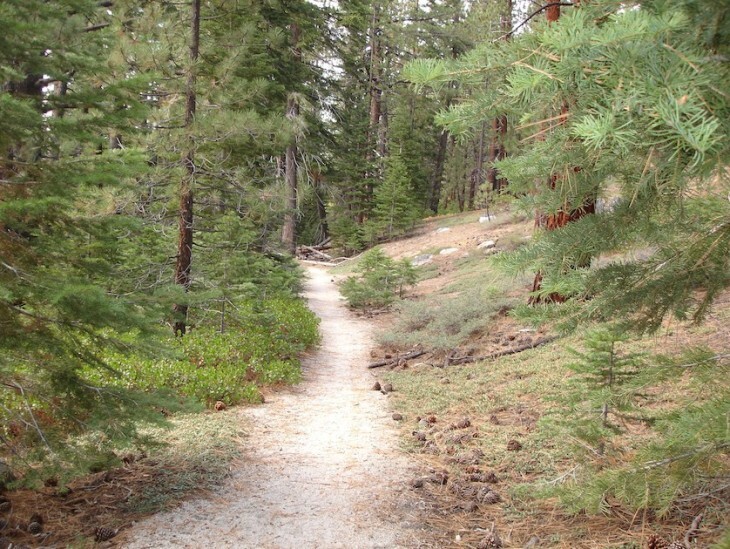 Caution is needed as this is also a popular trail for hikers, runners and occasionally equestrians. Head up Ski Run Blvd. to the end and turn right on Saddle Rd. and you will arrive at the trailhead at the end of the cul-du-sac. 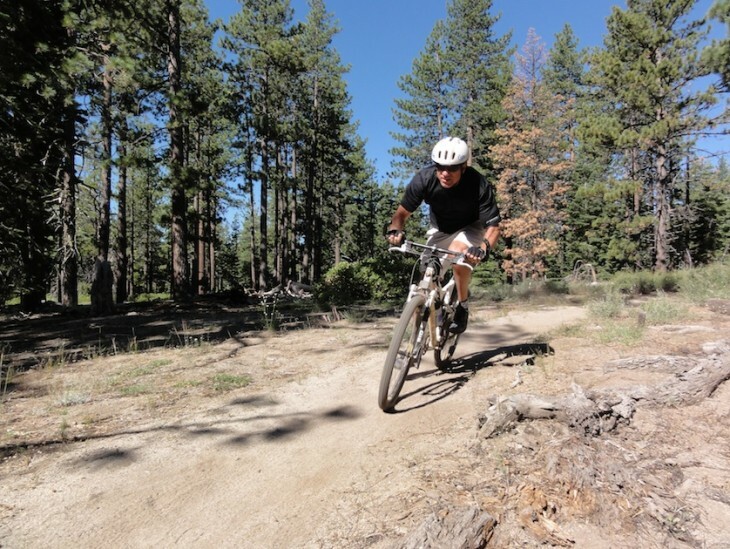 A popular XC single track ride offers accessibility and fun for a variety of riding skill levels. This is a good first recreational ride to acclimate to the altitude and test the trails without technical challenges. Follow the sign posts for directions bearing left when trails bisect. 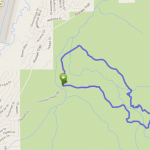 At 2.39 miles there is a sign post on the left at a trail junction. Turn left as this is the Cold Creek/High Meadows Connector. 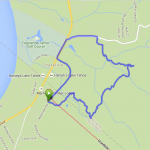 At .55 miles and you’ll junction with Cold Creek TR, turn right for a sweet downhill ride along the creek and you will arrive at bridge and trail junction. Stay to the right for the Power Line Loop. High Meadows: Turn left at Cold Creek single track and climb to High Meadows Loop. There are several rock steps and a hike-a-bike on the way. 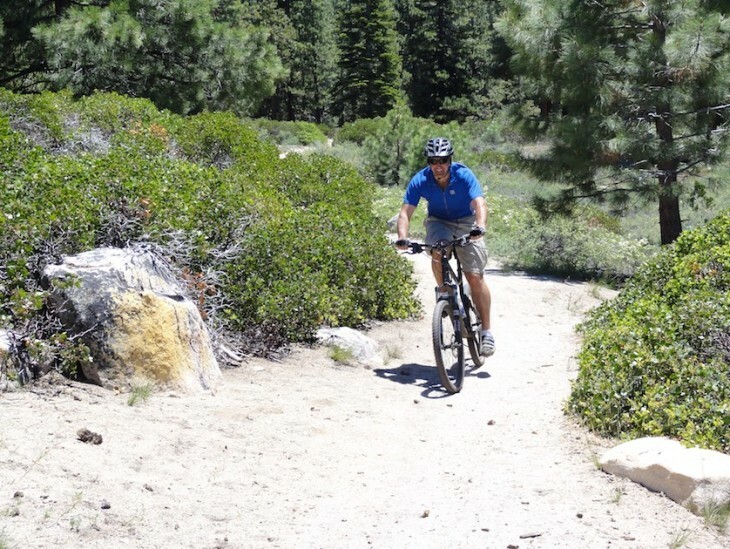 Pioneer Trail Road: At the trail junction, near the bridge, if you bear left and ride downhill along the creek you end up at Pioneer Trail road which is a short distance to Al Tahoe Blvd.and the Bijou Bike Park. High Meadows Road: If you cross the bridge you will junction with High Meadows Road with the option of turning left to ride or Star Lake Loop, or turn right and ride down to the Forest Service Gate.